In the same way that the necktie dominated the professional world as a sign of power and importance. 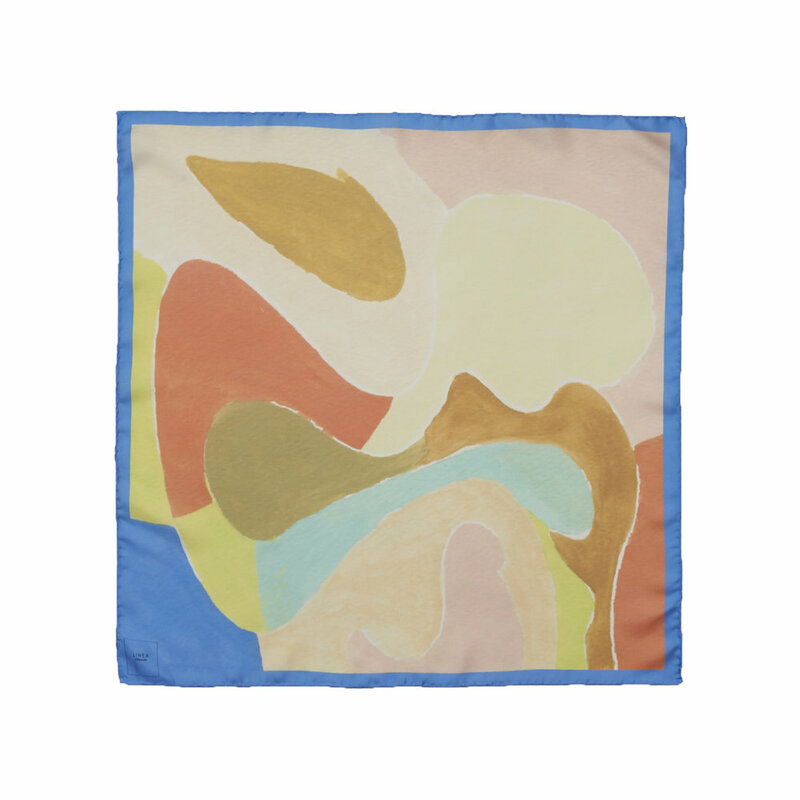 The silk scarf has become a way in which women are able to display their personalities and assert their dominance in the modern day professional world. International Monetary Fund Managing Director Christine Lagarde is one of the female executives who has made the silk scarf become so much more than an accessory. With luxury brands increasing their focus on the creation of scarves, it is no wonder that the accessory has become an item of prestige. The scarf not only shows that the person wearing it pays great attention to detail, but it also shows the creativity of that person by the versatility in which the accessory can be worn. Donna Loveday, co-curator of the exhibition Women Fashion Power at the Design Museum in London says that many women in male dominated industries, like politics and economics, wear bright scarves to stand out in the room and make sure that they are seen and heard. The Power Scarf is a way in which women have chosen not to blend into their work environment. Thus, they do not have to reject their femininity to achieve success. For the start of 2019, make sure to incorporate scarves into your professional wardrobe! Shop LINEA Germania Scarves HERE. If you look up the word “cowboy” or even just try to envision one in your mind, it is almost inevitable to picture someone wearing a cowboy hat, cowboy boots, and a scarf tied around their neck. It’s amazing to know that the scarf has been used as a staple clothing item for some of the toughest people in history. The Neckerchief, another variation of the scarf, came about in the Wild West when cowboys needed a way to protect themselves from the harsh dust and dirt kicked up by their cattle. Even though this was the one of the first reasons to why neckerchiefs were adopted by cowboys, it quickly became useful for several other purposes. For example, cowboys also used the neckerchief as: earmuffs in cold weather, a protection from sunburn on the neck, a pot holder for hot pots or branding irons, prevention against snow blindness in winter, a sling in case of injury, a face towel, or a mask for when they committed crimes. Neckerchiefs, also referred to as “wipes”, were usually worn in the colors of red and blue, and they were made of silk, cotton, or linen. There are several ways to tie a neckerchief, but the most common way is to fold the scarf in the shape of a triangle and tie a knot in the back of the neck. Wear It How You Want! Thank you so much to our lovely brand admirers for sending in photos of yourselves and your loved ones wearing scarves! We love seeing the many beautiful ways in which you have styled them. Please keep them coming! LINEA Germania wants you to send us photos showing how you style your scarves! With the scarf being such a versatile garment, our own personal styles come to fruition in the ways that we choose to wear it. Using the hashtag #HowIWearMyLG, share how you style your scarves and LINEA Germania accessories! We are excited to see the many beautiful ways in which our scarves have been incorporated into your wardrobes! Shop LINEA Germania Scarves here.